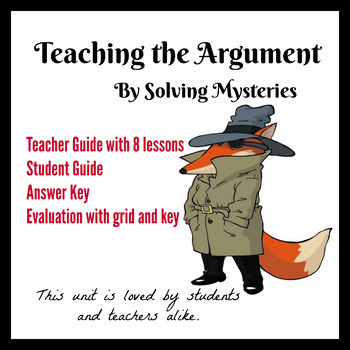 This mini unit contains 8 lessons that teaches students the proper way to form an argument. Many times students will use the right information, but they don’t quite know what to do with it. Through a series of crime scenes, students learn how to collect information (data), collect evidence, and explain how this evidence supports a logical conclusion, all while having fun. This unit teaches students skills that are needed in all literature units. This is a fun way of leaning the necessary skills for argumentation.